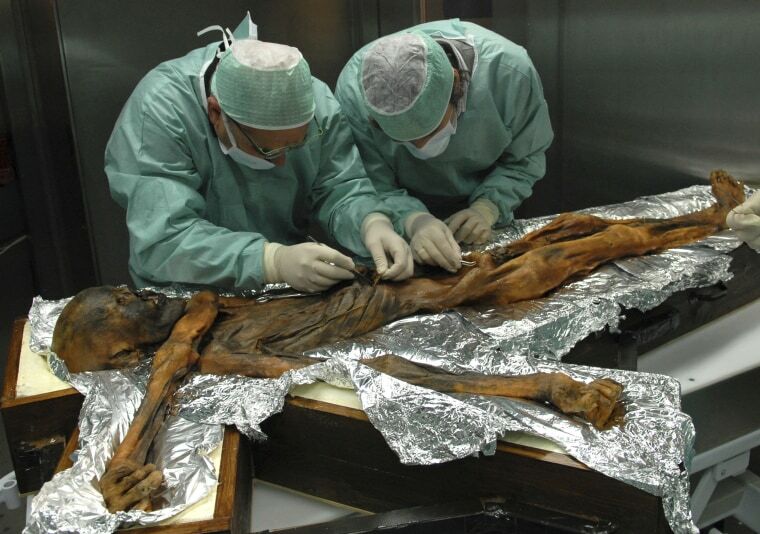 Though the researchers had previously examined Oetzi the Iceman's intestines, this was the first time they could look into his stomach. Talk about a paleo diet. Scientists have uncovered the last meal of a frozen hunter who died 5,300 years ago in the Alps.